exquisite shots! lovely colours and tones!! A real Joy ! I love the bokeh on the first one . Sama täällä - työniloa vaan kesään, sillä helteinen kesä on tulossa :) Hope so. Kaunis, herkkä kuva taas kerran, en voi muuta kuin ihalla tuotoksiasi. 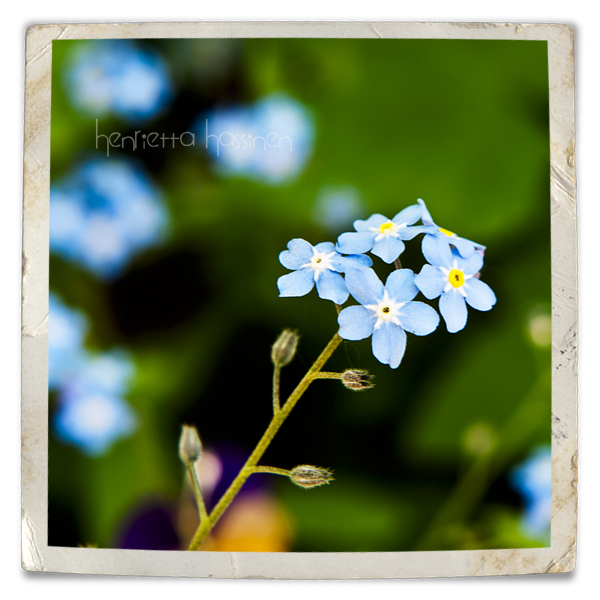 The forget-me-nots are one of my favorite flowers. You really captured their simple beauty. Henrietta, I love seeing what is new on your blog. Your statement about work, home, and weather is understood by me. I guess we will all get some nice sunshine when it is time. Not complaining just sharing, it could be way worse like in the mid west. Your photos are so elegant, and I could have them on my walls easily. Have a great Sunday. No voih. Ehkä se vaan nyt tuntuu siltä. Olen tilannut koko kesäksi hyvän aurinkoisen kuuman kesäsään, joten varmasti siitä riittää. So, so happy you are linkin up your gorgeous pics to our crazy days of summer photo challenge! These are exquisite as usual. I'm lovin that blue color! I always love your flower shots and use of textures. The first one is just dreamy! Both these shots are absolutely amazing. So beautiful! Hih, milloin sulla on kesäloma? LOVE the little blue flowers! Heh, ajattelin kysyä aivan samaa kuin pioni...et kai vaan lomaile heinäkuussa? Lemmikit on kukkia sieltä herkimmästä päästä, ylisöpöjä! oh my! your phots are so perfect! wht's your secret? :-) Love the colors! So pretty! The light on both of these is so lovely. It is the same for me with work and the weather!! 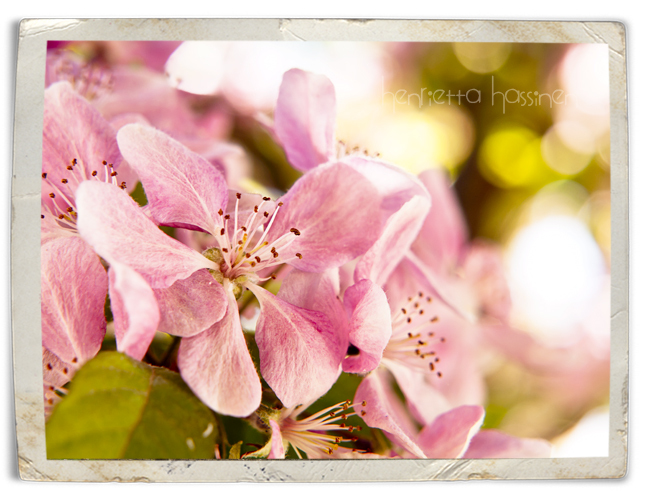 These are wonderful photograph Henrietta. It looks like a beautiful time of year in Finland! Pioni ja Intianminttu- mulla on heinäkuussa kaksi viikkoa lomaa joten jos ootte koko kuun lomalla suosittelen kahta viikkoa ulkomailla ja kaksi viikkoa täällä kotona:) Mä taisin olla ne kuun viimeiset viikot lomalla. Beautiful. The last one is my favorite! Your photos are such a beautiful inspiration! It is working because I go much mail just today. Very beautiful flower! I hope your trade off will change soon. Beautiful Flowers n pictures! Specially like the borders n frames that you are using on the pictures @ side bar. As always, you have beautiful pictures. I especially love that first one! Thanks for joining Alicia and I in our Crazy Days of Summer photo challenge. I hope you'll join us again on Friday. The theme is "refreshing." Have a great day!